With mSVN (Mobile SALTO Virtual Network) it's now possible to update cards remotely. 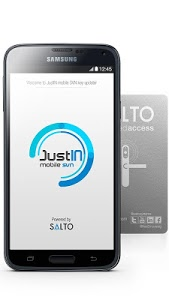 All an end-user needs is an NFC-enabled smartphone to update their DESFire EV1 credential using SALTOs’ JustIN mSVN App, thereby increasing the flexibility of an installation’s security. • XS4 Compability: XS4 Original RFID escutcheon range. Extensive range of escutcheon styles and sizes including Scandinavian, ANSI models and Wireless models (RFID models only). • System requirements: SALTO ProAccess SPACE. • BLACK LIST dissemination that increases security without the need to wire or visit doors. Since 2001 SALTO has been delivering the most technologically advanced electronic access control solutions in the market - wire-free and keyless. 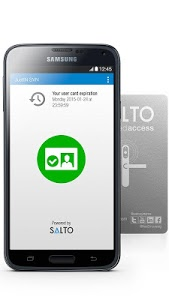 By creating the data-on-card based SALTO Virtual Network (SVN), SALTO has revolutionized access control around the world and set new standards in security, comfort and cost-effectiveness which will remain future proof. The SALTO XS4 platform offers a wide range of the most comprehensive and versatile products, which allows SALTO to provide access control for the most diverse sectors - from office and government buildings to healthcare, public institutions, education, hospitality and airports. Driven by continuous innovation and development, SALTO has established itself over more than ten years as one of the top five market-leading providers of electronic access control solutions. In addition to its headquarters in Oiartzun (Spain), SALTO now has offices in 26 countries worldwide. SALTO access control solutions can be found in over 90 countries on more than 2,5 million access points.